MuchBetter is a relatively new online payment solution, with a direct emphasis for being used for gambling transactions. The company behind it is MIR Limited, registered in the United Kingdom and regulated by the Financial Conduct Authority. This service is one of the few created with online gambling in mind and this has to be taken into consideration. Recently, it has become increasingly popular with both gambling websites and the general player base, with more and more brands starting to support it. Having made shockwaves across the industry, it is only fair to take a look at this banking method and see how well it stacks up against others in the industry. We will place more emphasis on the online gambling transactions aspect of the service and see if it is a market gimmick or a legitimate means of funding your casino bankroll. Before you get down to using MuchBetter for gambling transactions it is best to a few moments to see how the service functions and what it actually does. MuchBetter is an electronic wallet, eWallet for short, not unlike popular services Neteller, Skrill and PayPal. It can be used to store and move funds as you see fit with only a few clicks. The company behind it has created its own payment infrastructure so that transactions can be done quickly and efficiently at low cost to the user. You can easily use this service to manage your casino bankroll, with transactions being cleared within a few seconds after confirmation. Unlike many other services, MuchBetter is primarily aimed at the online gambling industry and it has already partnered with many prominent gambling websites such as 888casino. Not only does MuchBetter offer you the opportunity to conduct your gambling transactions with ease, but it also rewards you whenever you make significant deposits. For every £/€/$100 that you transact with MuchBetter, you earn reward points. Every week your reward points are entered into a contest where you can win £100. Additionally, every time that you gift £/€/$10 you also earn reward points. As part of the MuchBetter service, European Economic Area (EEA) residents are also eligible to receive a MasterCard debit card, tied directly to their account balance. You can use this to make purchases on the Internet, at retail locations and to withdraw money from an ATM. Additionally, you can also receive a wearable device, which you can use to make contactless payments at POS terminals. Transferring money via MuchBetter is quick and convenient. The service used a Peer-To-Peer system for handling transactions, where you simply enter the recipient’s information, typically an email address or a phone number, and confirm the payment. It only takes a few moments for the transaction to clear and the money will appear in the other party’s balance. The MuchBetter Gifting service is available to UK users and they can use it to give gift cards to friends and family electronically. For every gift that you make, you get to earn reward points, as mentioned above. You can send them instantly or on a delay, set to arrive on a date of your choosing. When looking at any online payment service, it is best to go over all of the advantages and disadvantages of using it and then compare them against each other. As it happens, there is much to discuss about MuchBetter and when we are done, you can form your own opinion about the service. One of the several perks of using MuchBetter is the ability to make instant transactions to online gambling websites. Quick transactions are essential for a smooth gambling experience and MuchBetter has the capacity to provide you with just that. When you make a payment with this service, the money will become available in your casino bankroll as soon as you confirm it. From then on, you can use those on funds to play whatever games the casino has to offer. Something else that you also have to take into consideration is the cost of the service. After all, your winnings might be negated if the transactions prove too costly. As it happens, not only does MuchBetter offer instant transactions, but they are completely free as well. You will not be required to pay a dime when depositing to an online casino, something which you will surely appreciate. Granted, certain aspects of the service need to be paid for, but in the end, these payments are few and far between. Using MuchBetter, you will be able to thoroughly enjoy your online gambling experience without the service eating at your bottom line. If you are the type of player who uses their mobile device for the purposes of online gambling, then you will be happy to know that MuchBetter is a mobile service before all else. In fact, this payment solution does not even have a desktop component, at this time. As such, it is built from the group up with mobile usability in mind and you can certainly make great use of this. The service is made to use many of your smartphone’s features, such as NFC for contactless payments and fingerprint ID for security purposes. All in all, it is an excellent mobile service and we certainly recommend it to you if that is your primary gaming platform. Something else we should also take into account is the ability of MuchBetter to protect your privacy. As is the case with many other eWallets, MuchBetter does not reveal your personal information when you make a deposit to an online casino. Rather, the service reveals only so much as required to make a payment within its infrastructure. As such, you can enjoy your anonymity and maintain your privacy on the Internet, a luxury not extended with traditional bank transfers, for example. Of course, no service is perfect and MuchBetter is not without its shortcomings. 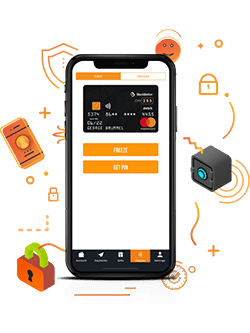 Having covered all important advantages, it is only fair to give you some idea of what you will have to put up with when using this payment solution. For starters, MuchBetter is new to the global market and the acceptance rate at online casinos is not great currently. There are only a handful of websites that currently accept payment via MuchBetter and the number of available casinos while slowly rising, is not large. You will be limited to a few select gambling websites if you choose to use MuchBetter exclusively and that is really to your advantage. Another disadvantage that stems from the previous one, is that withdrawals are not always available via MuchBetter. Due to the low adoption rates, online casinos may not consider it worthwhile to offer withdrawals via MuchBetter. This is a crying shame, considering that this service can process cash outs quickly and efficiently. This is also the case with other mid-tier payment solutions in the online gambling industry. If you do find yourself at one such casino, then your only means of withdrawal will via bank transfer to your personal bank account. MuchBetter is a solid service all things considered, but the low adoption rates from online casinos does not play to your advantage. It is the realistically the only hurdle from MuchBetter becoming an even better banking solution. Granted, the service is still new to the scene and is primarily aimed at online gamblers. As such, it is not unreasonable to expect adoption rates to increase greatly in the coming years, but as we currently stand, MuchBetter is nowhere near the levels of acceptance as other payment methods such as Skrill, Neteller or credit cards. MuchBetter is advertised as being much cheaper than many other payment solutions on the market. To determine the validity of this claim, we will go over the fee structure of the service and see how it affects your bottom line. Before you can actually get to making deposits, you first have to set up your MuchBetter bankroll and place money in your balance. You will have two different means of doing this, one with a bank transfer and one with a credit card. You can use Visa and MasterCard to top up your MuchBetter balance, which will come at a cost of 5% of the total transaction. As for the bank transfer option, you will not be required to pay a fee, though you may have to pay for the cost of the transfer. If you are a high roller, it is advised that you take the bank transfer option, as the 5% fee might prove too costly when applied to larger sums. If however, you like to wager smaller sums of money, then the percentage fee will likely not break the bank. We recommend that you do your own calculations and see which is worth it. When it comes to making payments, you will be happy to know that this service is entirely free. You will be able to make deposits, receive money, send gifts, etc. all free of charge. The only scenario in which a fee is charged is when you make a payment in a currency different than that of your MuchBetter account. In this case, a 1% foreign exchange fee is charged on the total sum of the transfer. Using your MuchBeter card is not too different either. You can use it online and at retail locations free of charge. Still, making a payment in a foreign currency will result in a 1% fee being charged. Additionally, when you withdraw money from an ATM you will also be charged 0.99% of the total sum. If you want to withdraw money from your MuchBetter balance back to a personal bank account, there are some charges involved. A UK faster bank transfer will cost you 3% of the total while, with the same being applied to SEPA transfers, as well. If, however, you wish to transfer your funds to a non-SEPA bank, then you will be required to pay the rather exorbitant fee of £50 or the equivalent in your currency. Overall, MuchBetter does prove to be one of the cheapest banking solutions out there. If you have patience, you could use this service almost free of charge. However, if you would like to go as quickly as possible, then the charges are not worse than those of any other service supported by the online banking industry. Your deposits to online casinos will completely free, after all. Another aspect to consider is the speed of the transactions when using MuchBetter to control your bankroll. Ideally, you want a banking solution which clears your payments as quickly as possible and allows you to enjoy your gambling experience with no downtime. In this sense, MuchBetter is an excellent service. This eWallet is capable of processing your deposits in a matter of seconds, allowing you to enjoy your favorite casino games without the need to wait for a deposit to clear. Withdrawals, on the other hand, are also processed in a swift manner. Since all payments happen within the MuchBetter infrastructure, all of them can be processed within seconds. This means that as soon as an online casino is done with the review process and has sent the payment, you can have your money in a few minutes. Of course, the review process can take up to 2 business days at some online casinos, so you also have to take that into account. In any event, MuchBetter handles payments in a quick and convenient manner and only outside factors can slow you down. When choosing a payment method, some users have concerns whether or not they could use that service from their mobile devices. In the case of MuchBetter, it is the only way of utilizing this payment solution. As of this writing, there is no desktop version of MuchBetter and the only way to use it is from a mobile device. Currently, MuchBetter is available on both Android and iOS, with an application being featured on the respective app store of either platform. The app gives you full access to the service and you can use it to make payments both to online casinos and online shops that accept MuchBetter. Furthermore, if your device has NFC (Near Field Communication) functionality, you can also use it to make contactless purchases at POS terminals. In short, mobile users will be happy to know that MuchBetter is fully available for their platform and that they can make great use of this banking solution. Security is an important aspect to consider when using any online payment service and MuchBetter has certainly not neglected this. Since the service is tied to your device, you can use many of the security features that it offers. With touch ID (fingerprint ID) being one of the major ones. Additionally, you can tie your account to your device so that payments can only be made from it. A Two-Factor Authentication system is also available for those interested, where random codes are generated every few seconds and you have to enter them to make a payment or access the account. This is one of the best security features currently available on the Internet in general and it has worked well for all who have used it. As for the casino’s end of things, you will find that gambling websites are certainly secure in their own right. By law, they are required to be able to safely store and handle user information of any kind and to this end, they use high-end encryption to make sure no one gains access to sensitive information. Not that that should concern you when making a deposit with MuchBetter since the service does not reveal your banking information to the casino. All in all, MuchBetter benefits from the latest security features of the gambling, mobile and the payment industry and so do you by proxy. There is only so much that we can cover in one review and we understand if you have more questions regarding this service. For your convenience, we have compiled a list of the most commonly asked questions about MuchBetter along with their appropriate answers. When using MuchBetter, you will be limited to $2,500 maximum loading and spending if you have not provided proof of identification to the company. Once you have submitted the appropriate documents, you will find your limits raised higher. Will I have to provide proof of identification to MuchBetter casinos? Unfortunately, you will have to prove your identity when gambling on the Internet. `This is done at any legitimate gambling website and it is required by law. It is done to ensure that everything remains above board, that you are of legal age to gamble and that there is no attempt at money laundering or other criminal activity. It is a hassle sometimes, but it is a necessary evil when all things are considered. It could take up to two business days for a casino to verify your identity. What are the costs to the MuchBetter prepaid MasterCard? The MasterCard offered by MuchBetter is only available to EEA residents and it is completely free to own and use. There are no monthly or yearly fees and you can use to make payments free of charge. ATM withdrawals will cost you 0.99%, however. You only have to remember that this is a debit and not a credit card. As such, you can only spend money that you already have in your balance and the company will not extend any loans to you. How quick are MuchBetter withdrawals? Where available, MuchBetter withdrawals are some of the fastest that you will have at your disposal. Much like any other eWallet, MuchBetter handles transactions within its own infrastructure and this allows it to process them nearly instantly. Granted, there may be some waiting period so that the casino can review the withdrawal request. This will likely take up to 24 hours or up to 48 hours, in the worst case scenario. However, once the casino staff issue the payment, the money will appear in your balance after a few seconds. Moreover, you will also be notified by the MuchBetter app. MuchBetter is one of the safest services that you will find on the Internet. Since this payment solution is directly tied to your smartphone, you can make use some excellent security features, such as Fingerprint-ID and Two-Factor Authentication. Moreover, you can easily lock your app with a passcode so that only you have access to it.